The way cool Hat ‘n Boots Roadside American Art is located in Oxbow Park in the Georgetown Neighborhood of Seattle. 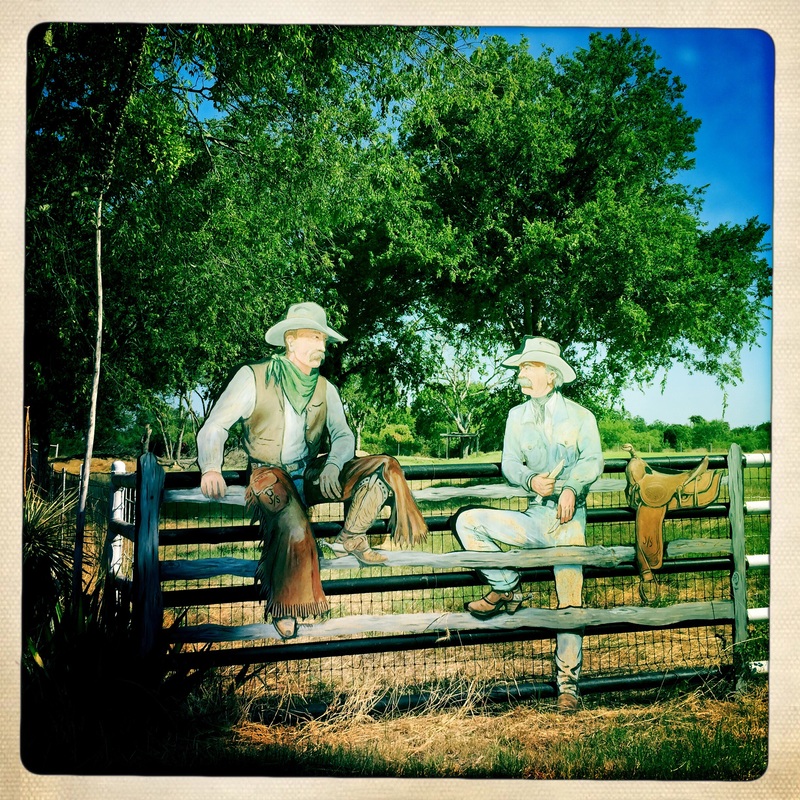 Oxbow Park was created in 2003 and at the end of that month, Hat ‘n Boots were installed there. The art was fully installed by the middle of 2005. The art was originally part of a cowboy themed gas station, “Premium Tex”, that was built in 1954. The hat was over the gas station office and the boots were the restrooms (black for the guys and blue for the girls). The station closed in 1988 and fell into disrepair. The park also includes a community garden, a children’s play area, some nice artistic touches and grassy picnic areas. It was pretty busy on this cold and foggy Saturday. 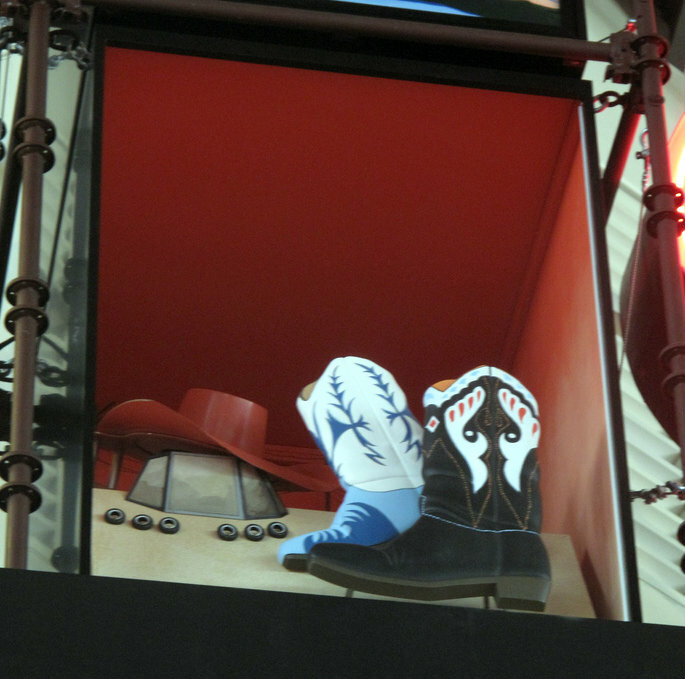 Update 2/13 there is a model of the Hat ‘N Boots at Seattle’s Museum of History and Industry. This entry was posted in Art -- there is art here!, Farms and Gardens, Parks, Seattle, WA State - King County and tagged Americana, boots, Community, Community Garden, Cowboy, Cowboy Hat, Georgetown, Hat, Hat 'n Boots, oversized, Oxbox, Park, Roadside, Seattle on January 20, 2013 by admin.